​Kevin Durant picked an opportune time to make his first three-pointer of the evening on Sunday. 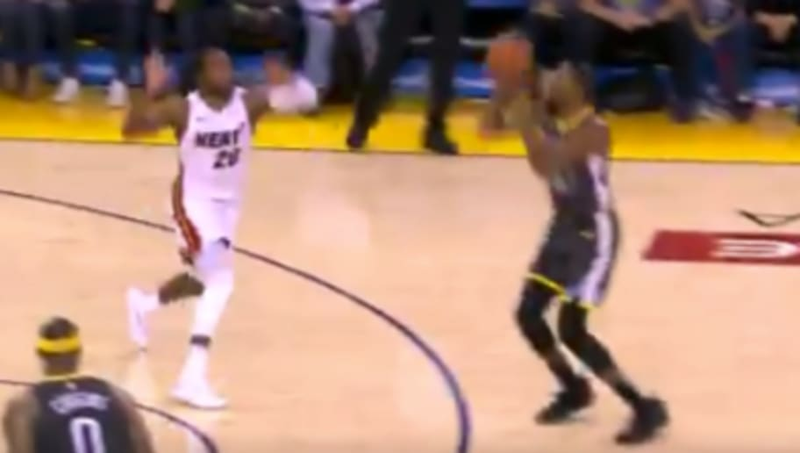 As the Golden State Warriors struggled to hold off the Miami Heat during the fourth quarter, KD came to the rescue in the final minute of the game with a clutch three to tie things up at 118-118. Ice in his veins! He was 0-for-6 from three-point land until drilling that one to put the pressure on Miami. It was a close call for the Dubs, but when you have KD running the show, you can count on him to ​score when you need it most.